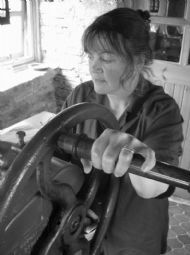 I was born in Sussex, and worked as a screenprinter in North Wales and a Commercial artist in London before moving to Scotland in 1982. I learned to etch at Peacock Printmakers, Aberdeen, in 1986. In 1997 I moved with my husband, painter David Watt, to a remote croft in the Highlands of Scotland, where we keep cows, get our electricity from a windmill and fuel from our peat bank. Leading the good life! 2016 'Retrospective and Onwards' 30 years printmaking at Inchmore Gallery, by Inverness. 2010 / 2000: Lybster Gallery, Lybster, Caithness. 2009: Milton Gallery, Crathes, Aberdeenshire. 2001 / 1996 / 1994: Tolquhon Gallery, Tolquhon, Aberdeenshire. 1995: Hanover Fine Arts, Edinburgh. 1995: Just Art, Fochabers, Moray. 1992: The Ceilidh Place, Ullapool, Highland. 1991: His Majesty's Theatre, Aberdeen. travelling international miniprint exhibition, various locations. UK. The Little Gallery, Pittenweem, Fife. Tore Art Gallery, Black Isle, Highland. McGill Duncan Gallery, Castle Douglas, Dumfries and Galloway. The Rocks of Solitude Touring Exhibition. Kitty and David Watt. 1995-1998. Brechin, Angus - Ferryport Studio, Tayport - The Mefan, Forfar, Angus – The Ceilidh Place, Ullapool - The Art Gallery, Aberdeen Royal Infirmary - St. Furgus Gallery, Caithness. Commissions for Shell Expro, Aberdeen. 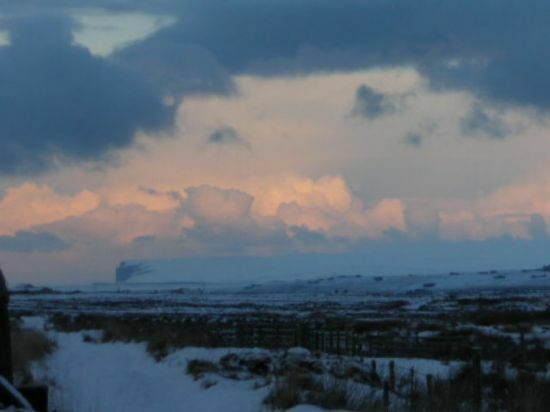 The Biel features in much of Kitty's artwork, winter sky over Hoy. 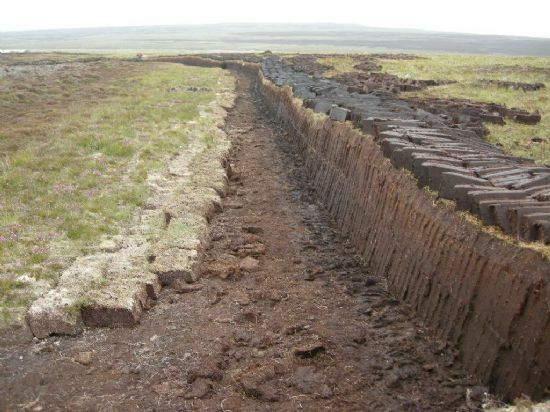 The Peat Bank above the Biel, Just finished cutting. Hard work but rewarding.